What could be classier than the stateliness of this elegantly designed transitional accent chair? 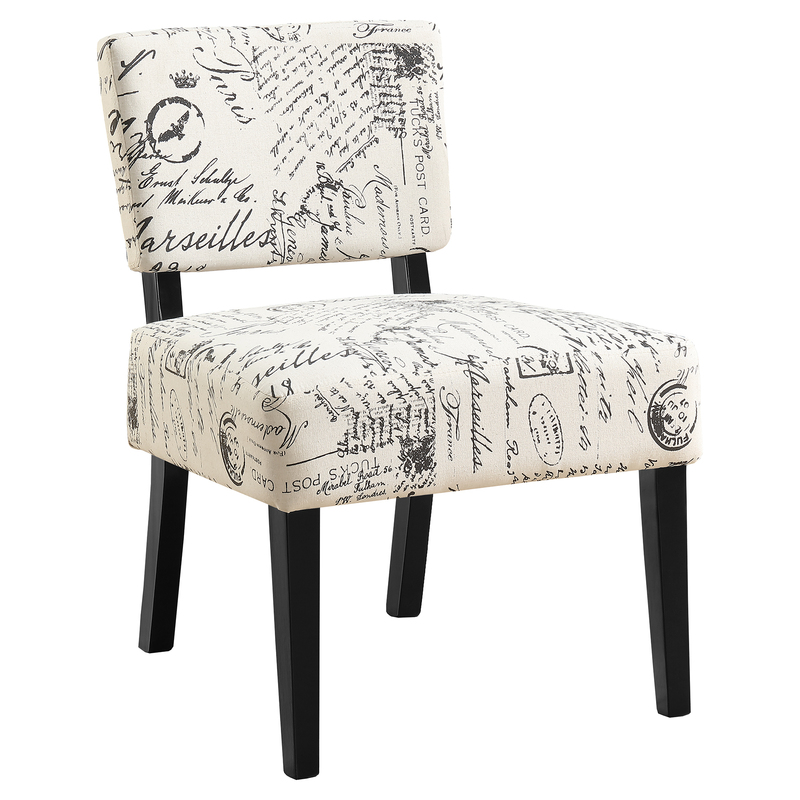 Bring french history to life with this transitional armless chair, featuring a historically-inspired allure. A calming soft french script fabric provides a tempting respite from your daily rush. 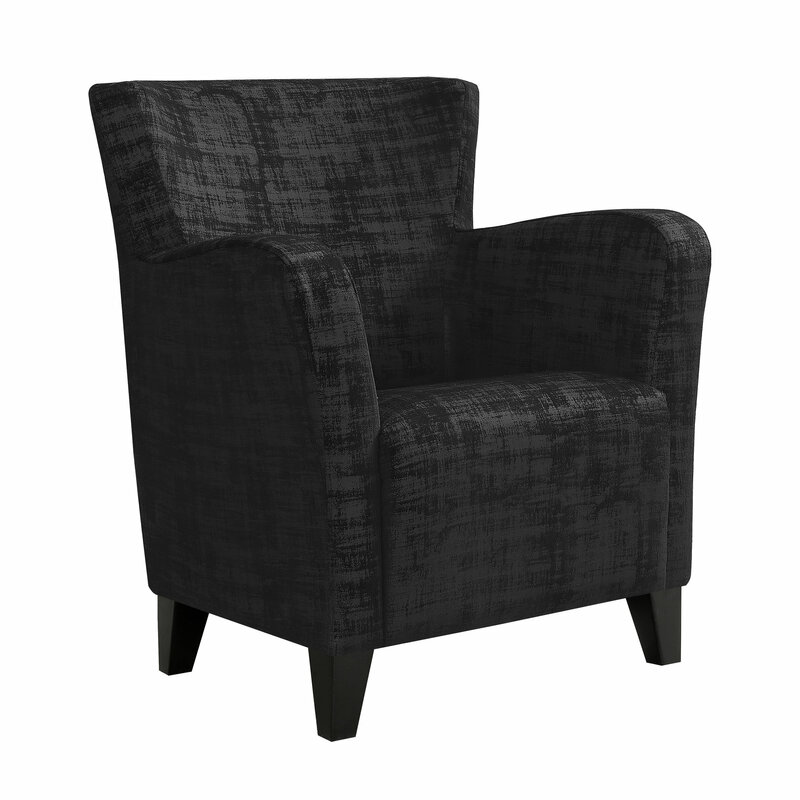 Enjoy this chair in the comforts of any room in your home. 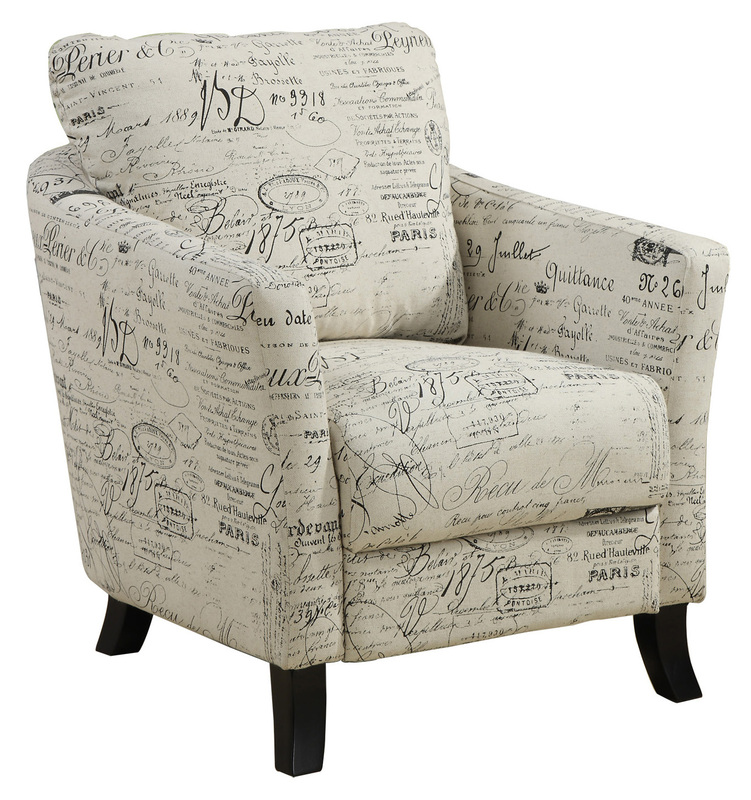 Bring a Parisian style to your home with this vintage French fabric accent chair. 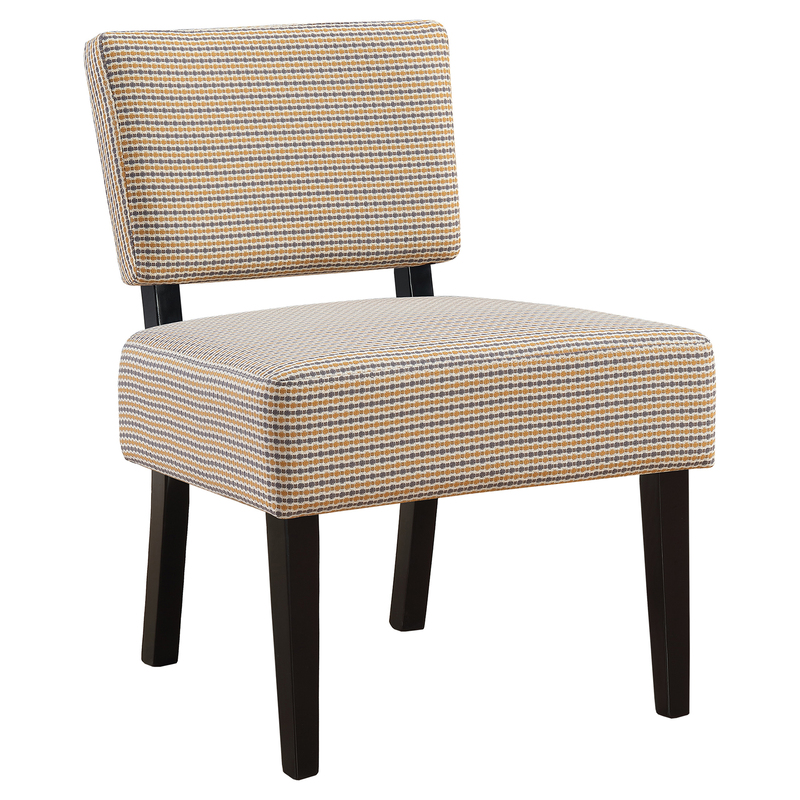 It features a curved, plush back, an extra thick boxed seat cushion, and solid wood post legs. 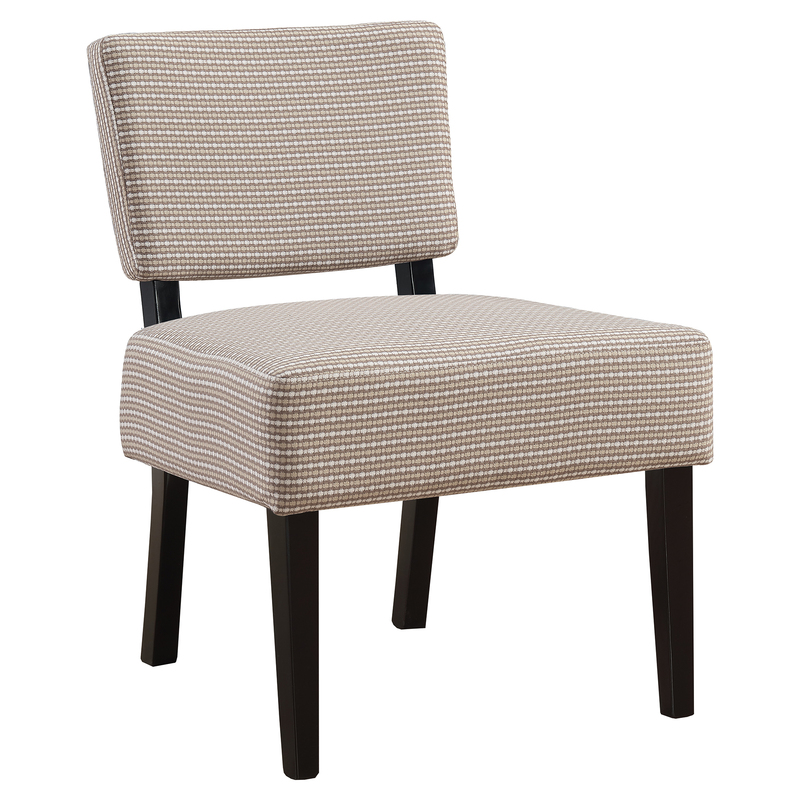 This chair, with unique patterns, is designed with gentle edges for an elegant yet stylish charm. If you+re looking for an easy re-fresh to a room, then we+ve found it for you in this contemporary and stylish accent chair! 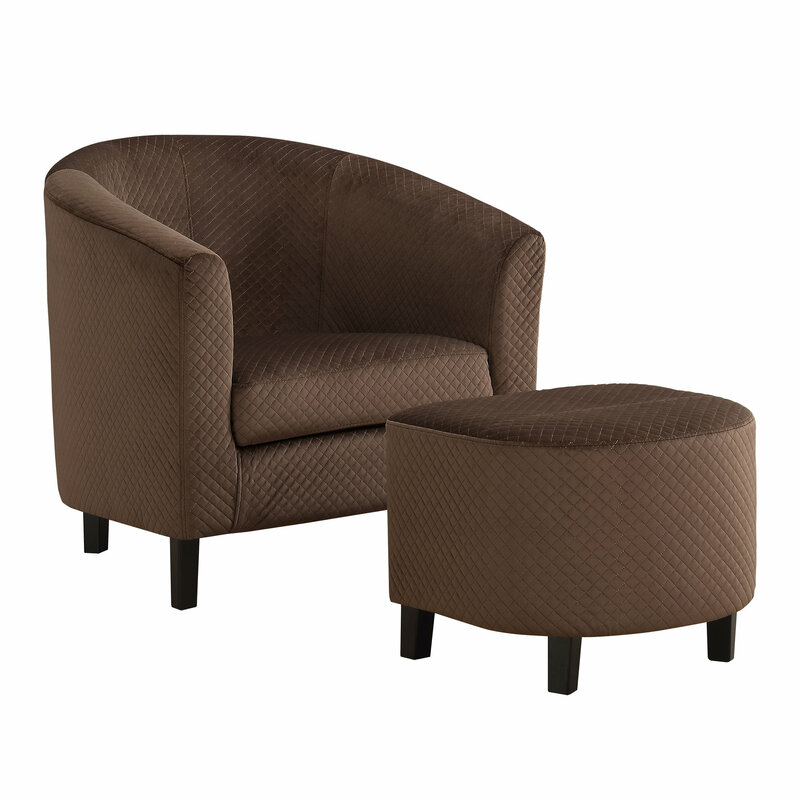 This chic armless slipper chair is upholstered in a smooth and rich dark brown fabric with a soft luxurious touch. 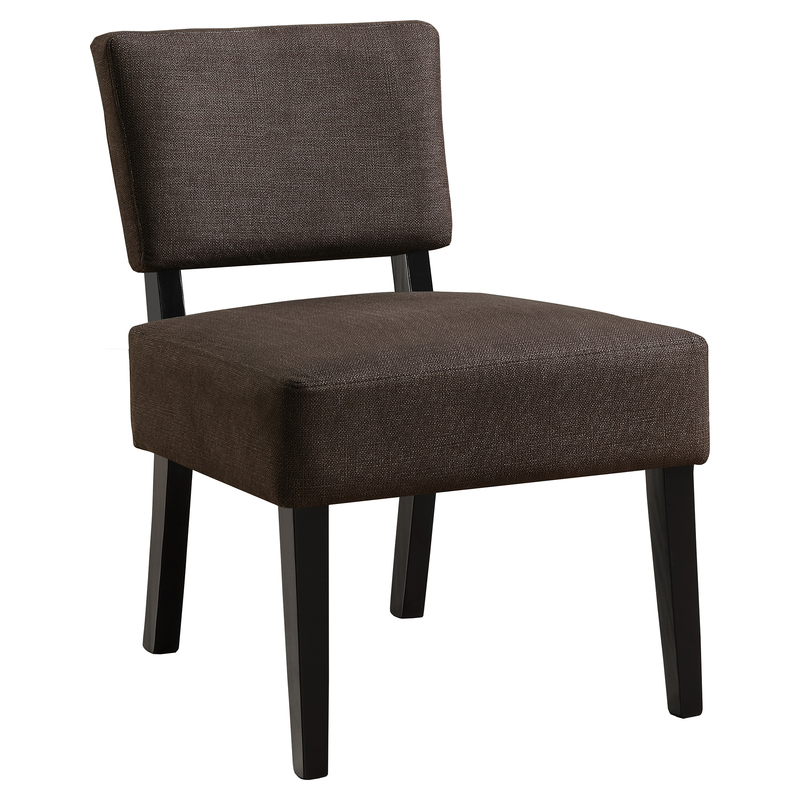 It boasts a wide medium-firm thick cushioned seat and back, finishing off with a solid wood black frame and legs for a nice contrast. What a versatile chair to place in any room that needs that added boost, whether it+s in a bedroom, living room, den or entry way. 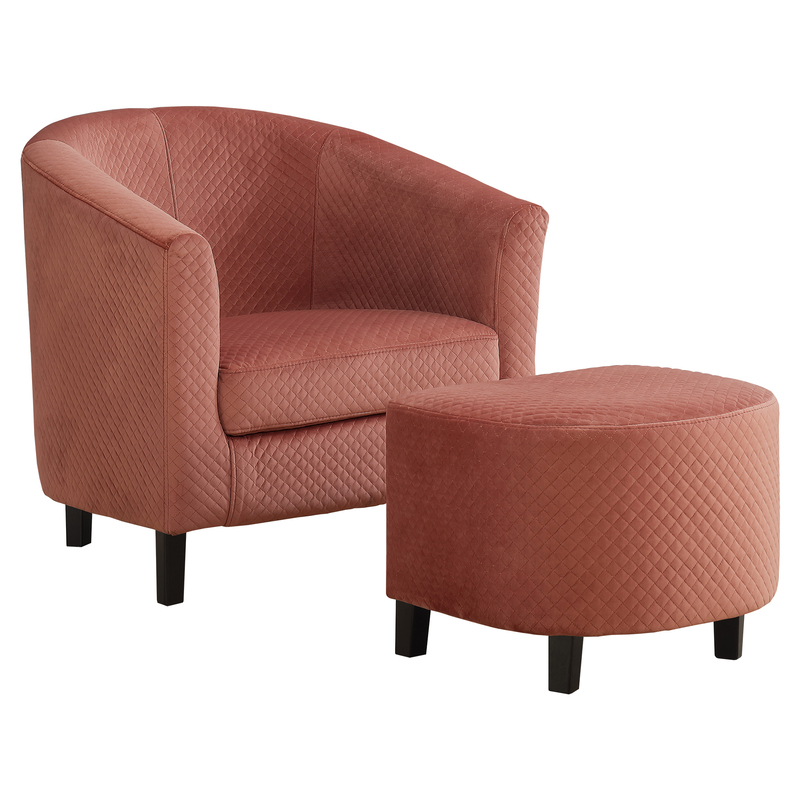 Quick to assemble, this accent slipper chair will easily be the new classic in your home! If you+re looking for an easy re-fresh to a room, then we+ve found it for you in this contemporary and stylish accent chair! This chic armless slipper chair is upholstered in a smooth and elegant dark brown leather-fabric with a soft luxurious touch. 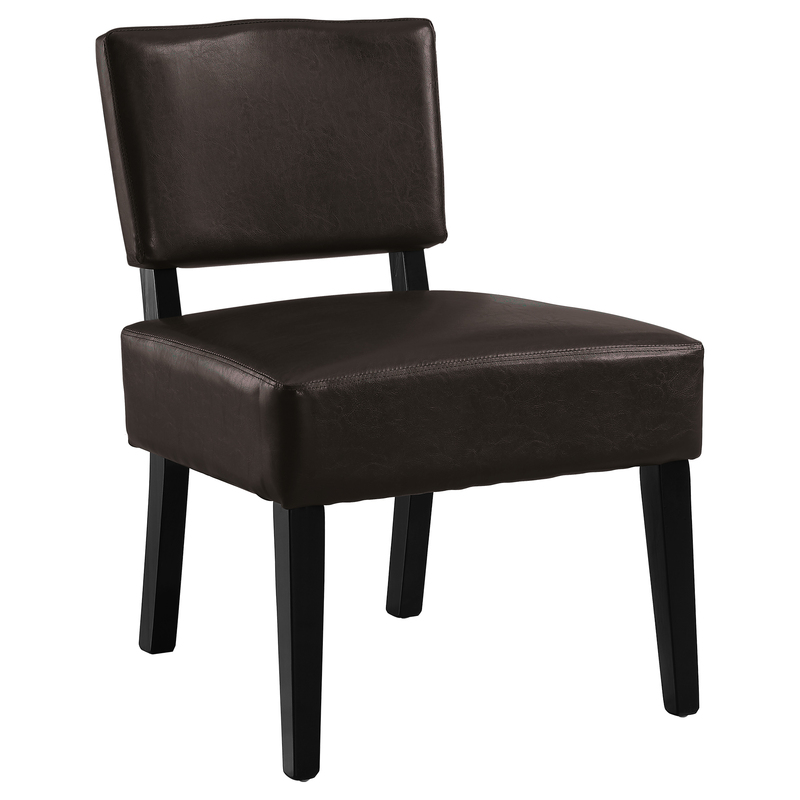 It boasts a wide medium-firm thick cushioned seat and back, finishing off with a solid wood black frame and legs for a nice contrast. What a versatile chair to place in any room that needs that added boost, whether it+s in a bedroom, living room, den or entry way. 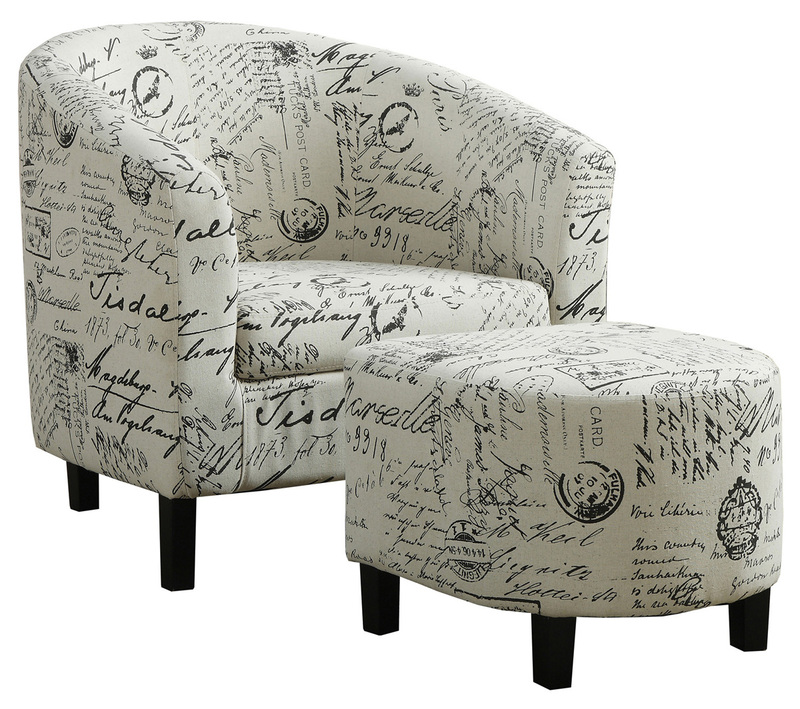 Quick to assemble, this accent slipper chair will easily be the new classic in your home! If you re looking for an easy re-fresh to a room, then we ve found it for you in this contemporary and stylish accent chair! 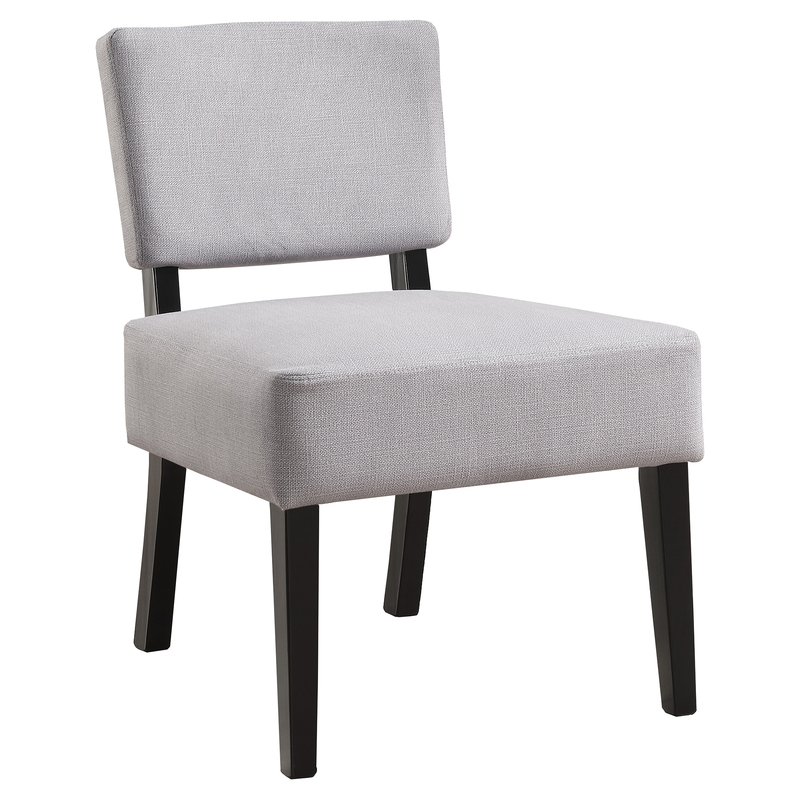 This chic armless slipper chair is upholstered in a deep and elegant dark grey fabric with a soft luxurious touch. 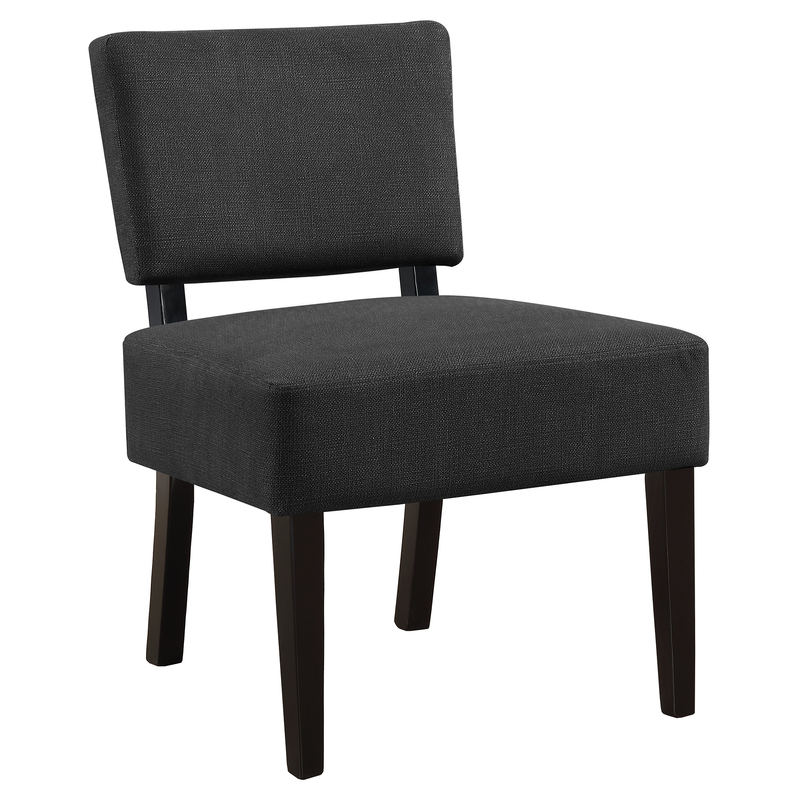 It boasts a wide medium-firm thick cushioned seat and back, finishing off with a solid wood black frame and legs for a nice contrast. What a versatile chair to place in any room that needs that added boost, whether it s in a bedroom, living room, den or entry way. 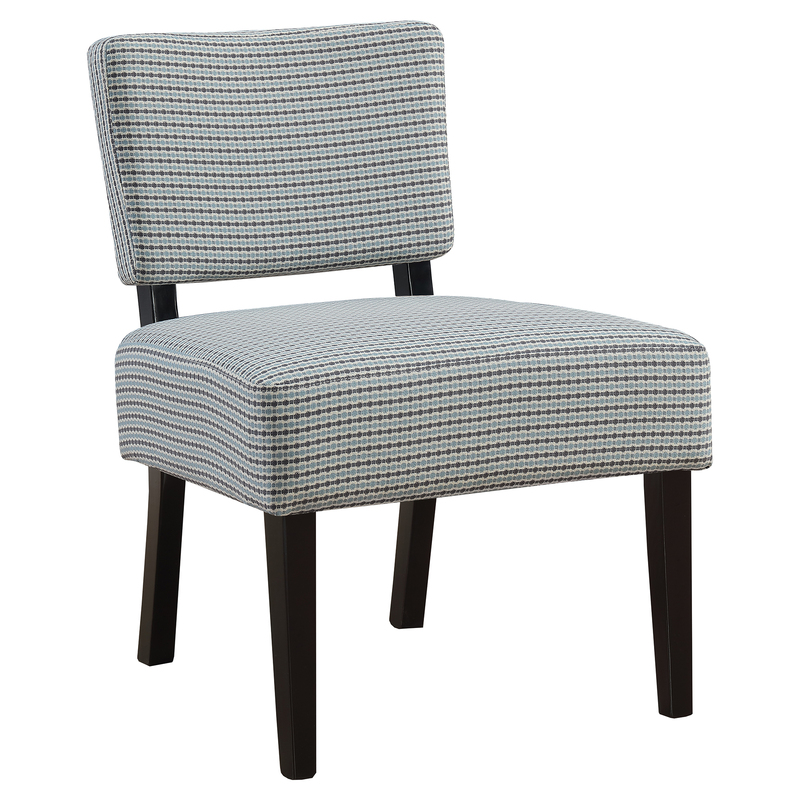 Quick to assemble, this accent slipper chair will easily be the new classic in your home! If you+re looking for an easy re-fresh to a room, then we+ve found it for you in this contemporary and stylish accent chair! 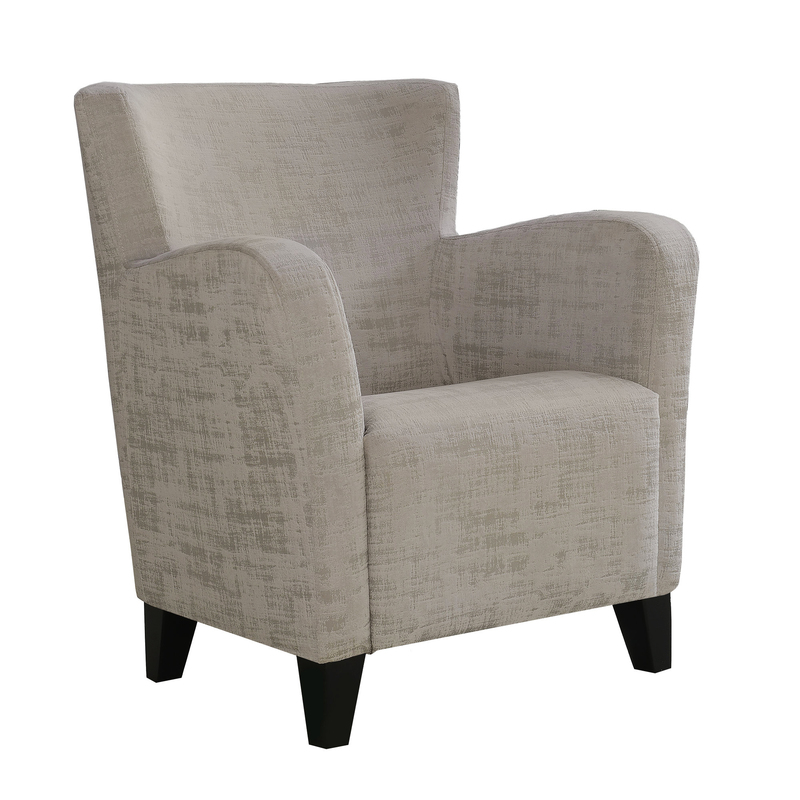 This chic armless slipper chair is upholstered in a smooth and elegant light grey fabric with a soft luxurious touch. 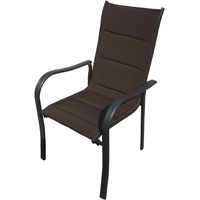 It boasts a wide medium-firm thick cushioned seat and back, finishing off with a solid wood black frame and legs for a nice contrast. What a versatile chair to place in any room that needs that added boost, whether it+s in a bedroom, living room, den or entry way. 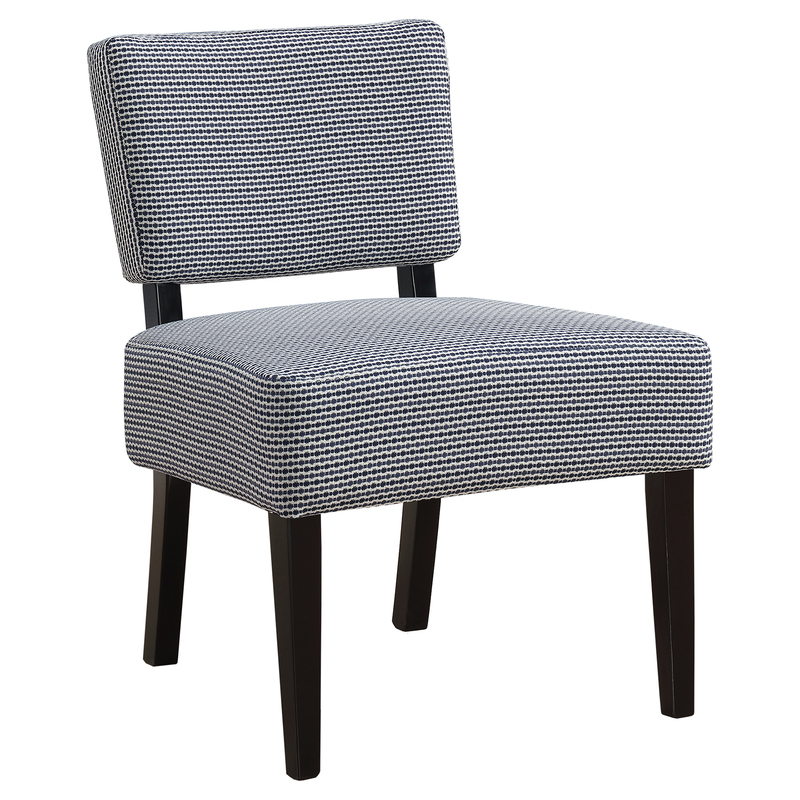 Quick to assemble, this accent slipper chair will easily be the new classic in your home! If you+re looking for an easy re-fresh to a room, then we+ve found it for you in this contemporary and stylish accent chair! 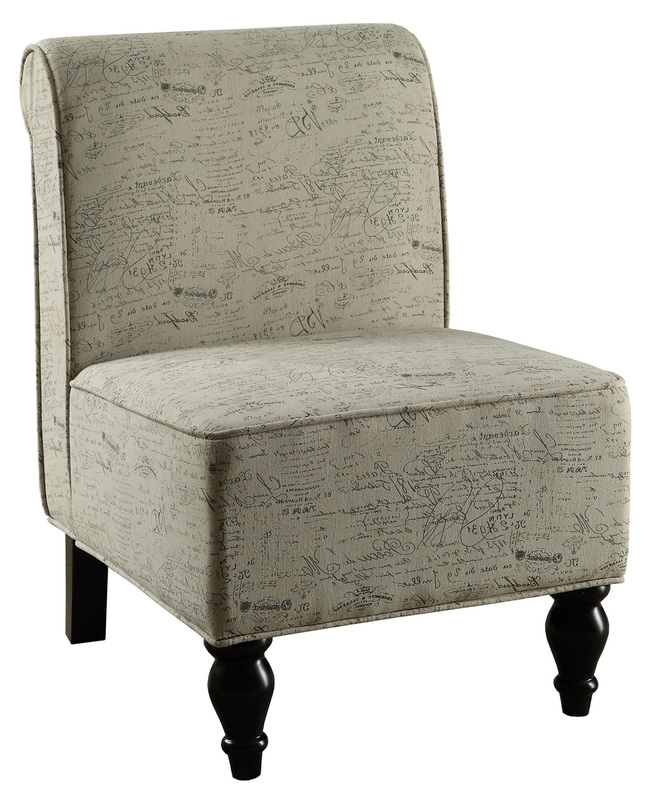 This chic armless slipper chair is upholstered in an off-white cotton-linen blend fabric with a charming vintage black French script print. 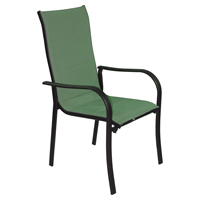 It boasts a wide medium-firm thick cushioned seat and back, finishing off with a solid wood black frame and legs for a nice contrast. What a versatile chair to place in any room that needs that added boost, whether it+s in a bedroom, living room, den or entry way. 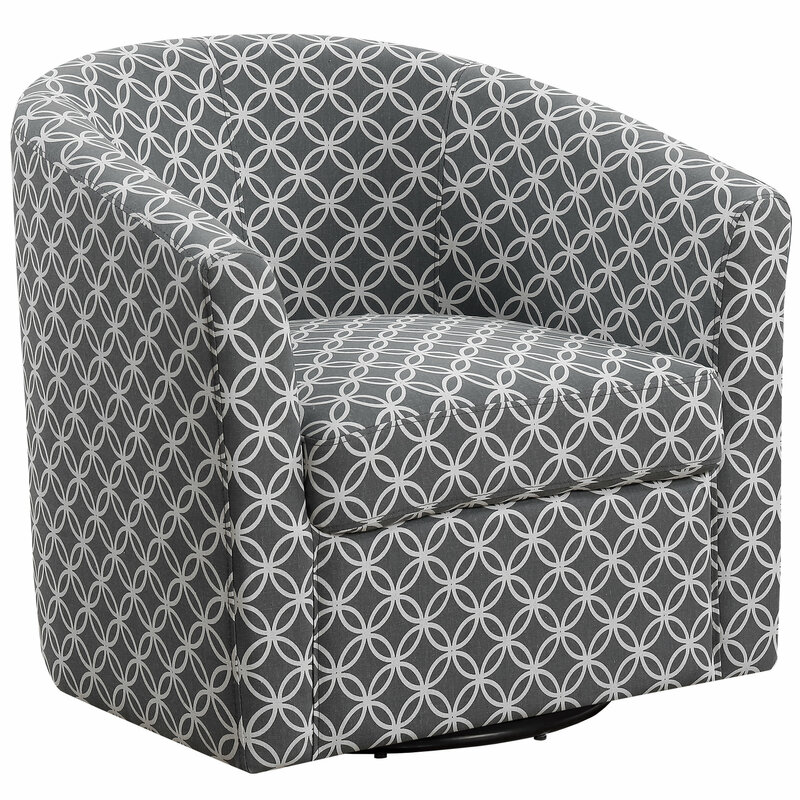 Quick to assemble, this accent slipper chair will easily be the new classic in your home! 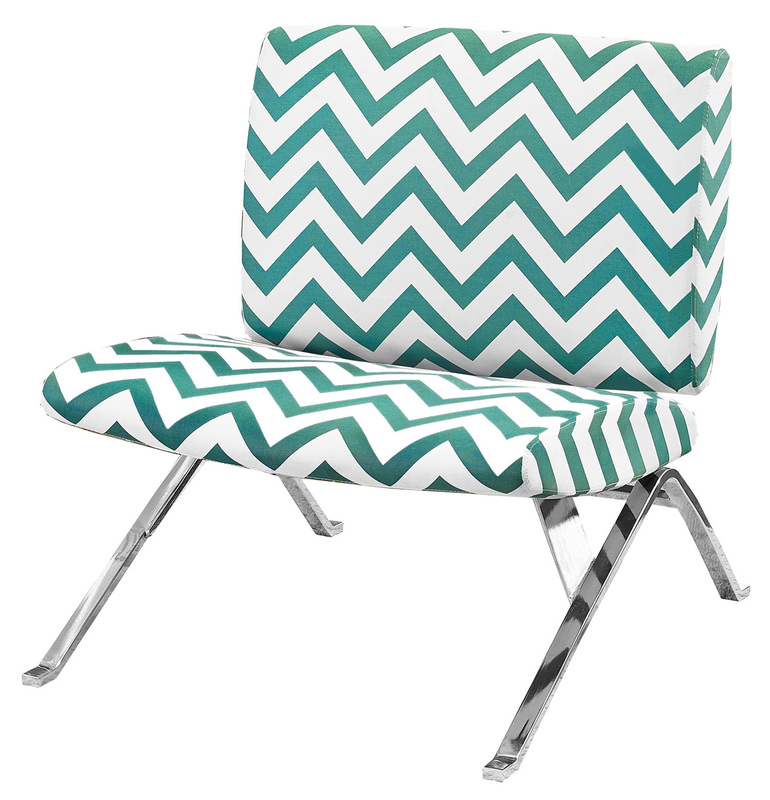 Lustrous in fashion and very comfortable, this modern teal chevron fabric chair is the perfect addition to your living room, bedroom or any space in need of contemporary style. Chrome metal legs and simple upholstery complete the modern appeal of this piece. 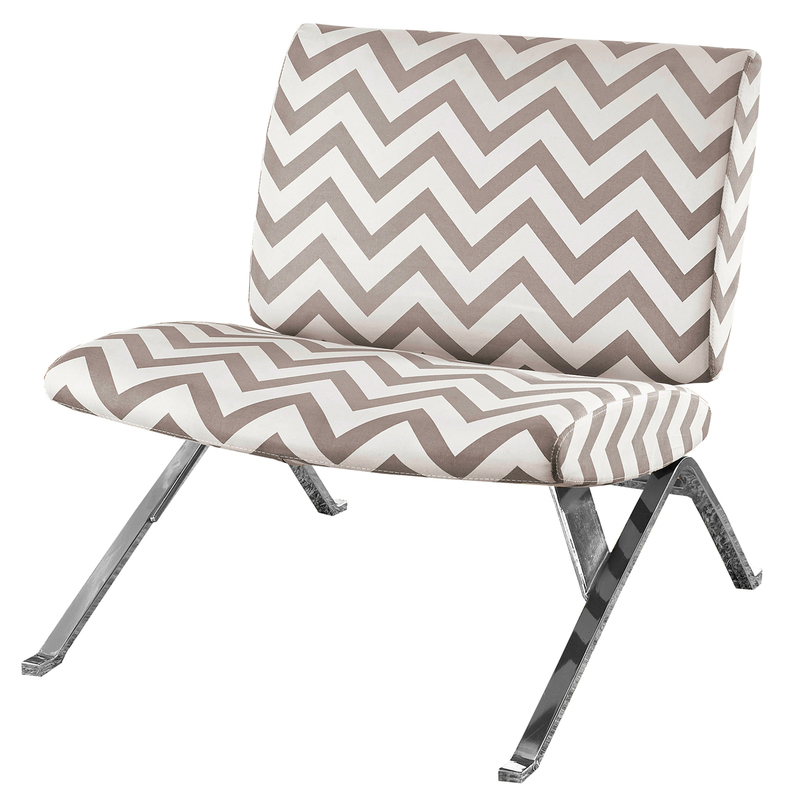 Seat Height From Floor (inches): 14.5"
Lustrous in fashion and very comfortable, this modern taupe chevron fabric chair is the perfect addition to your living room, bedroom or any space in need of contemporary style. Chrome metal legs and simple upholstery complete the modern appeal of this piece. 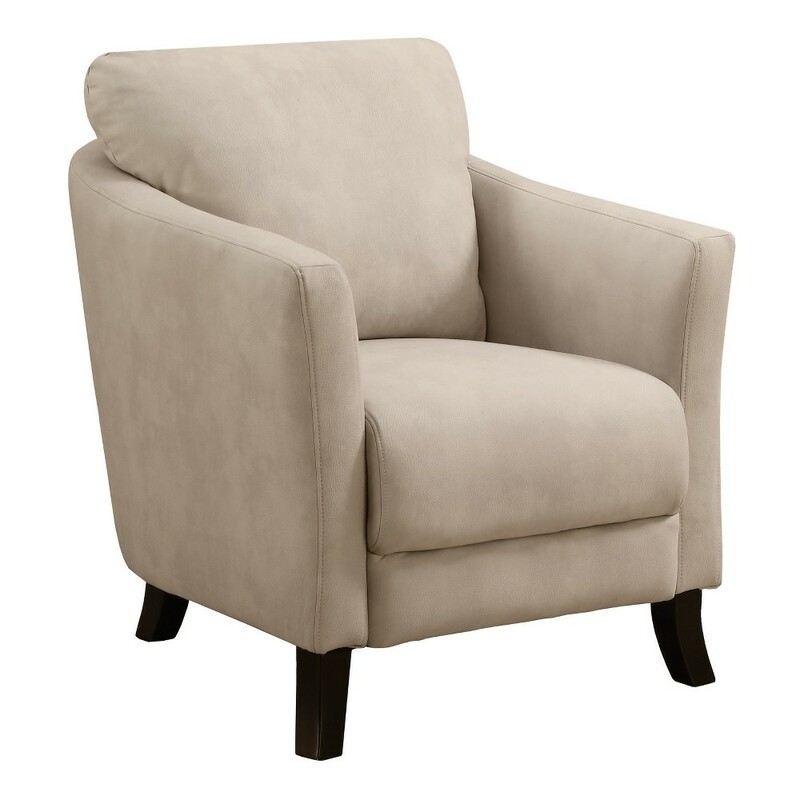 With a high seat back and curvaceous frame, the Europa club chair will be a stylish addition to any room in your home. A sinuous spring base and curved seat back provide supportive comfort, while bold track arms and a deep, slightly scooped seat surrounds you in modern style. 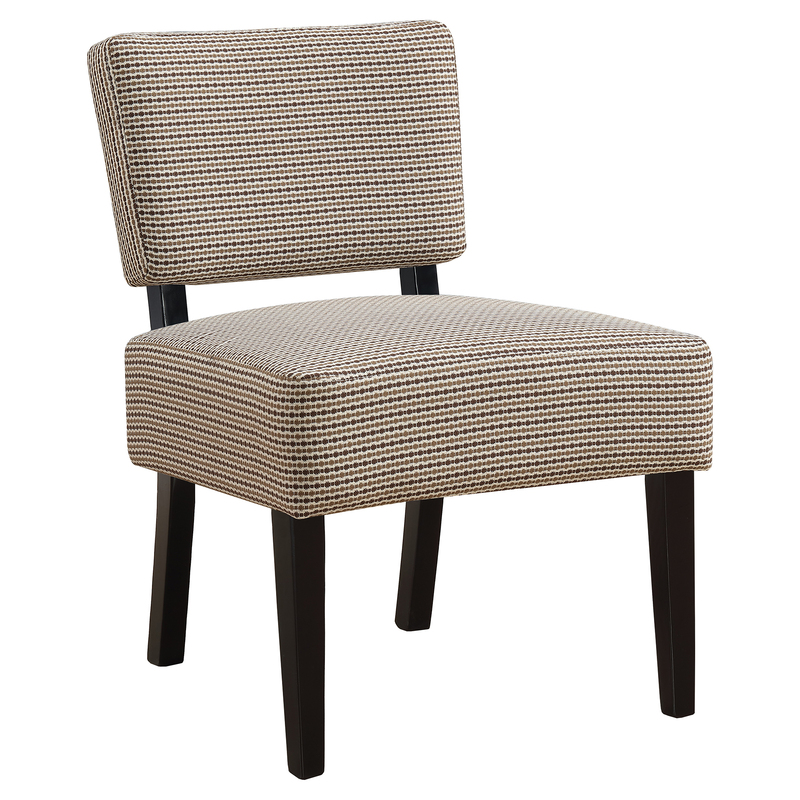 Tapered black block style wooden feet anchor the base of the chair contrasting the rich taupe brushed velvet fabric. Whether standing alone or used to accent a full living room ensemble, this chair will bring optimal comfort and exceptional style to your home. Featuring a cushioned plush back you will be just dying to sink into, an extra thick boxed seat cushion, and solid wood black flared legs. 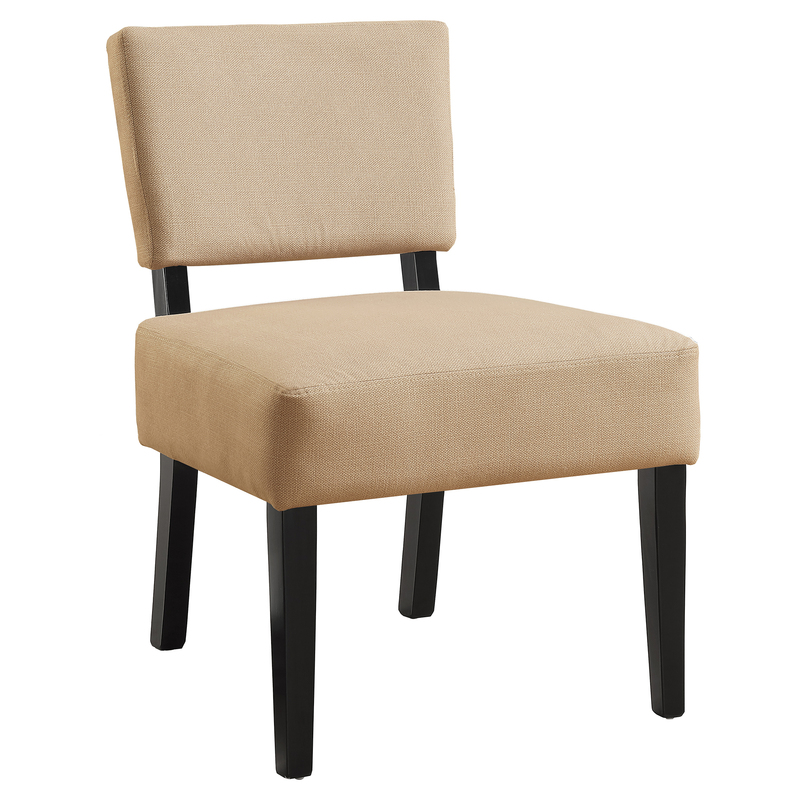 This elegant and contemporary light taupe microfiber fabric accent chair is a must have for any room in your home. 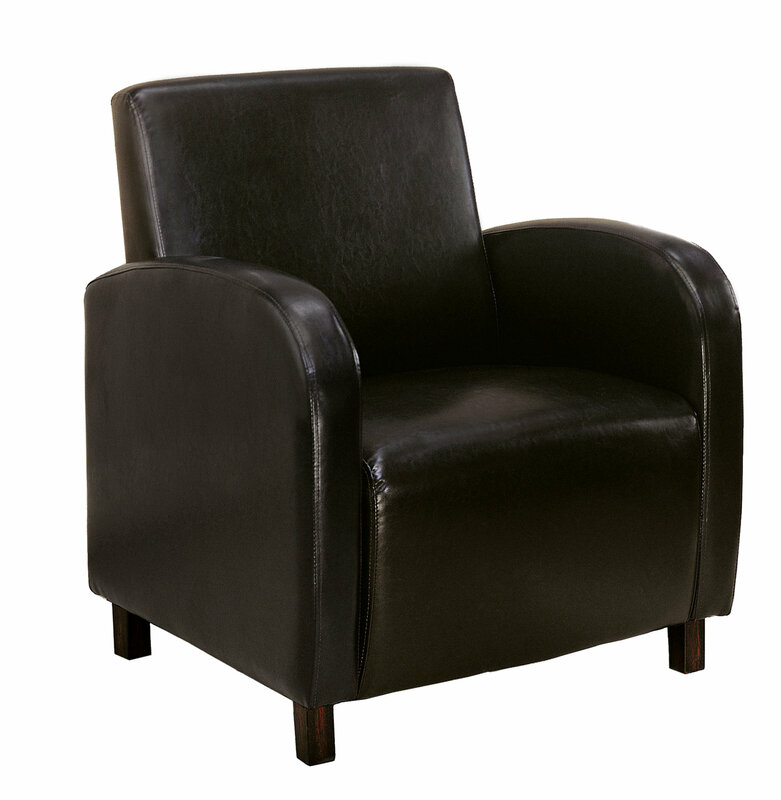 Style and comfort with a retro appeal is what you get with this transitional style swivel accent chair. 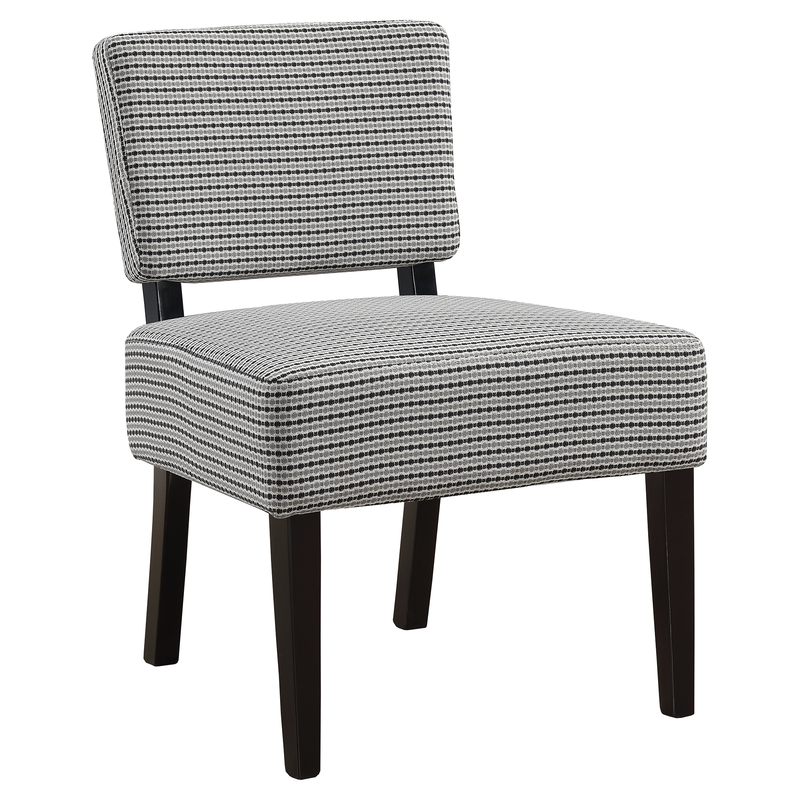 Upholstered in a durable linen and cotton blend fabric with a contemporary grey and white circular print, this club style chair has a thick medium-firm cushioned seat with padded back and arms making this a versatile piece for any room in your home. The 360 degree swivel metal base is great when entertaining as conversations flow, especially if you buy a pair and seat them side by side. With no assembly required, this compact swivel accent chair would look right at home in a living room, family room, or den. Whether standing alone or used to accent a full living room ensemble, this chair will bring optimal comfort and exceptional style to your home. 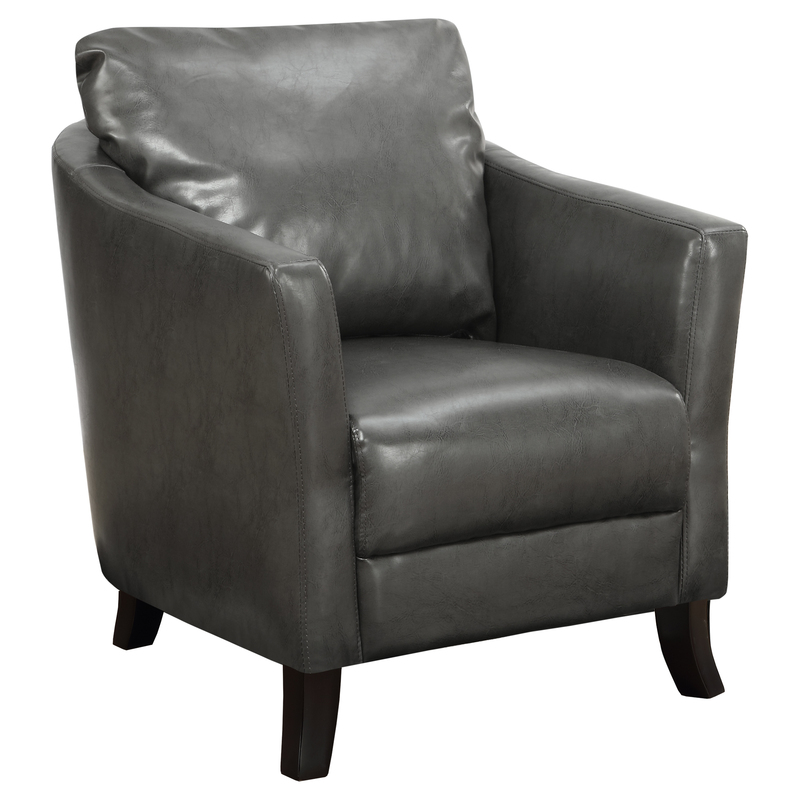 Featuring a curved plush back you will be just dying to sink into, an extra thick, boxed seat cushion, and solid wood flared post legs, this elegant charcoal grey leather-look accent chair is a must have in any room of your home. 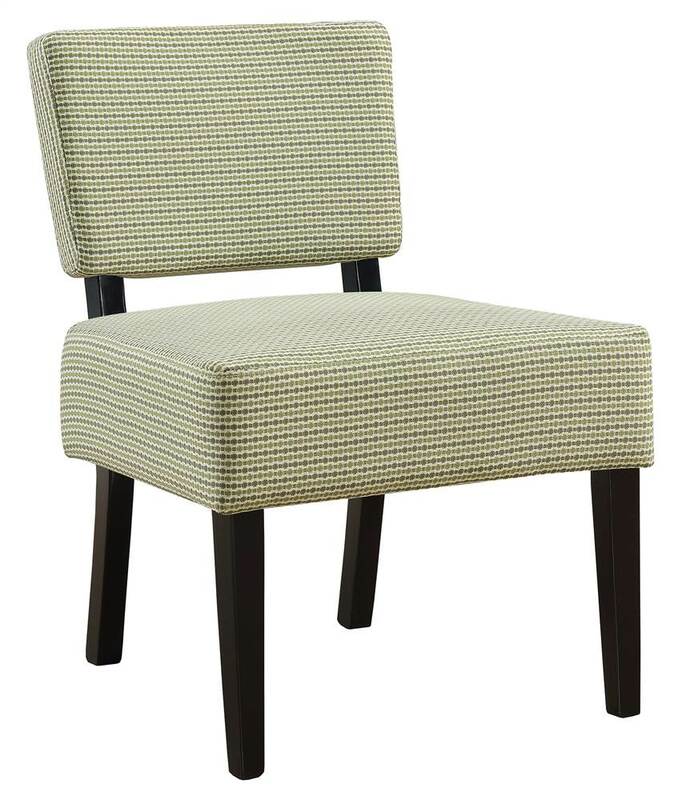 Seat Height From Floor (inches): 18"
If you+re looking for an easy re-fresh to a room, then we+ve found it for you in this contemporary and stylish accent chair! This chic armless slipper chair is upholstered in a smooth and elegant charcoal grey leather-fabric with a soft luxurious touch. It boasts a wide medium-firm thick cushioned seat and back, finishing off with a solid wood black frame and legs for a nice contrast. What a versatile chair to place in any room that needs that added boost, whether it+s in a bedroom, living room, den or entry way. 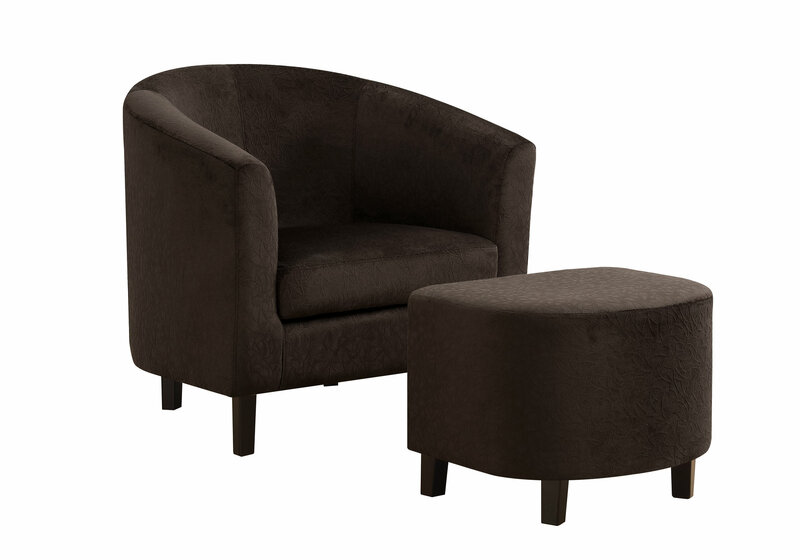 Quick to assemble, this accent slipper chair will easily be the new classic in your home! If you re looking for an easy re-fresh to a room, then we ve found it for you in this contemporary and stylish accent chair! 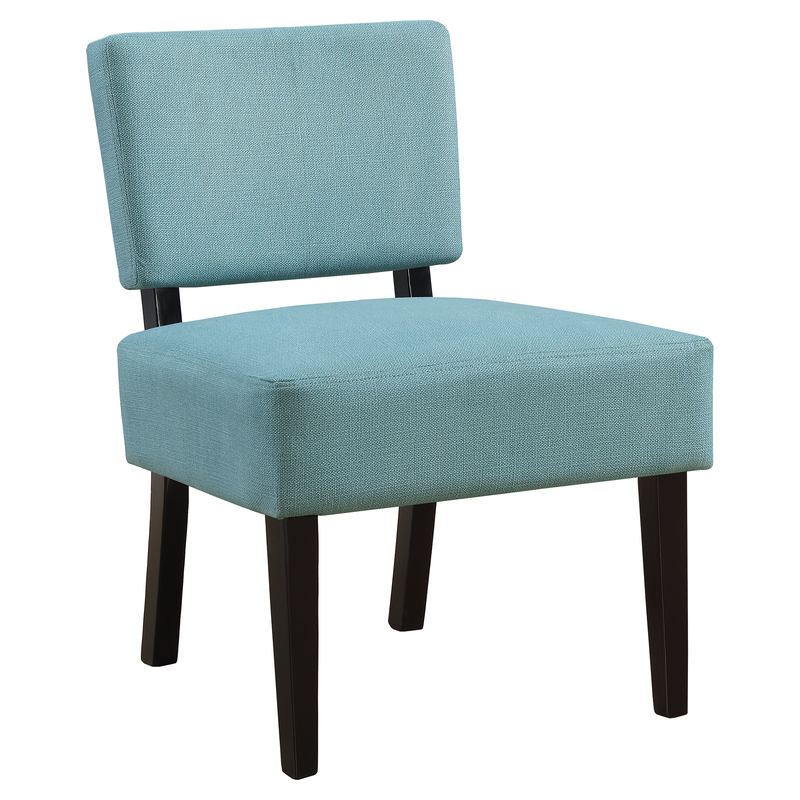 This chic armless slipper chair is upholstered in a fresh and modern teal fabric with a soft luxurious touch. It boasts a wide medium-firm thick cushioned seat and back, finishing off with a solid wood black frame and legs for a nice contrast. What a versatile chair to place in any room that needs that added boost, whether it s in a bedroom, living room, den or entry way. 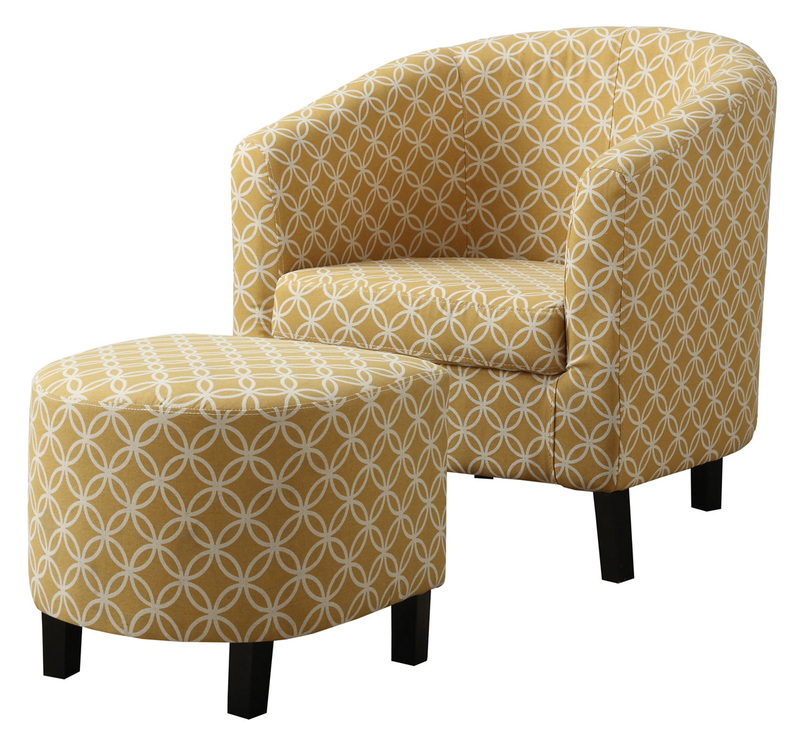 Quick to assemble, this accent slipper chair will easily be the new classic in your home!